Like many of you, I’ve checked out the grain bin suffocation demonstration at the farm shows and collected many farm safety brochures. I think this spring is finally the time when we’ll do things more intentionally on our farm, including have the safety talk. We experienced family trauma in October during harvest when a key person crashed a vehicle. It made us all realize that we need to have more safety tools and plans in place. It’s time to do a safety walk around the property and clean up hazards again. It’s time to fill some ice cream pails with basic first aid supplies and put them in tractor cabs and mechanic’s workplaces. It’s time to have safety conversations with those folks who are aging, and who require a few adjustments to what they can safely do on the farm this spring. Farms that rely on aging labour can find it hard to know when it is the best time and safest decision to tell folks that they no longer can work safely. This is the “s” talk, i.e., the safety talk. Time to consider all of the #safety precautions you are taking on the #farm and having the “S” talk. We had this experience with my father-in-law when he met a hydro pole with his harrow bar in his late seventies. We also did not know at the time that he had a brain shrinking disease. 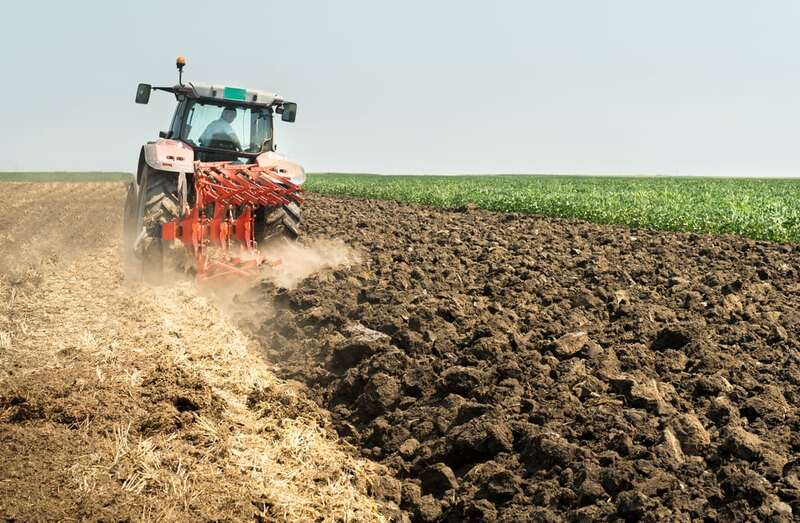 Another elder employee was badly bruised when he jumped off his tractor which had caught fire (hydraulics and straw combined in mucky conditions). For more smooth operations tips, consider my “Farming’s In-Law Factor“. Telling someone that their abilities are no longer safe is necessary. Take the other person’s perspective, use sound listening skills, and ask them to consider the risk to others and themselves if they cannot function safely. We were concerned that Dad would hurt himself and possibly others, so he had to stop driving. What jobs can still be performed well? 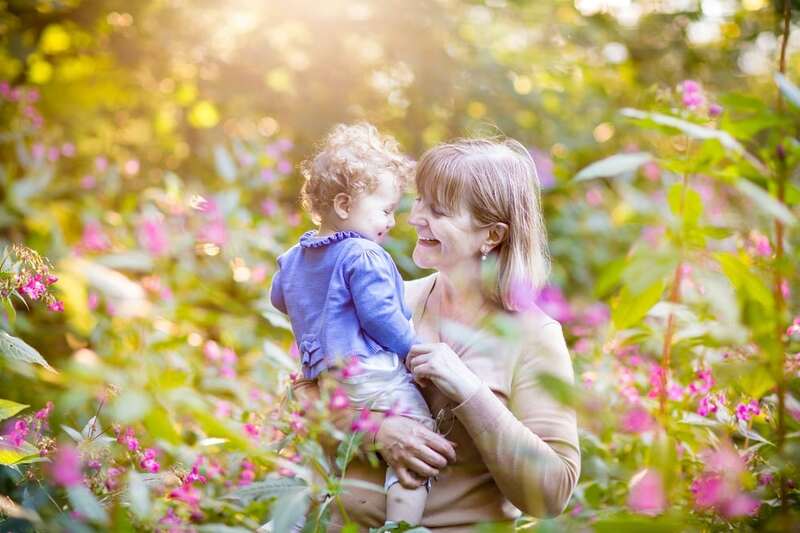 Ask the elder person, “What does a good day on the farm look like to you?” and find new tasks that work. Profanity, blaming, or accusations are not going to help the situation.” We have a problem here, your abilities to respond quickly are changing, what do you think is a good adjustment to make?” My father was very angry with me the day he was no longer allowed to drive (due to his Alzheimer’s), but I was more concerned about his well being and the well being of others. Sometimes you have to be able to accept the hurt and frustration of others in their anger and not take it personally. 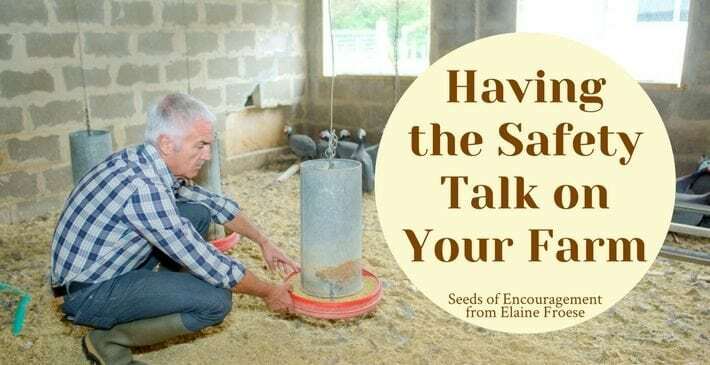 These are just a few of the considerations farm families need to have when it comes to having the safety talk with other. Also, you should watch the video on Managing Generational Expectations for more tools for talking about tough issues. 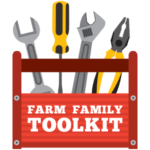 There are lots of great resources available for farms who are ready to have better safety on the farm. PEI Federation of Agriculture – Foreign Worker Farm Safety Training Video. This video was created by PEI for foreign workers, but I plan to use it with a young teen who is working in our yard this summer. It is only 15 minutes in length, but it is really well done, and teens love to watch videos! Perhaps it is time for a farm safety consultation. In Manitoba, you can go to Manitoba Farm Safety Consultations. Or search your provincial agricultural policy association for what is available in your province. I have a farm safety box of resources that I glean from all the ag. trade shows that I attend over the winter. Some of those stickers and decals make it to a wall in the farm shop or tractor. There are ice cream pails of farm first aid supplies in tractors. It seems like it is never enough. We can have tons of information in our farm offices, but what time have we blocked off to actually do the training and talking that makes sure that every worker on our farm understands and follows our safety culture? Culture is an invisible glue that holds the farm together, it is what you believe about safety, how you behave by acting in a safe manner, and what you decide about following regulations and safety guidelines. This all hits close to home for us in 2018 as our grand-daughter turns one and we begin with keeping another generation safe on our farm. I remember keeping our toddler son in the safe zone, and now he is the father and the successor on safety watch. I think the biggest factor in farm safety is your attitude towards being safe and cleaning up hazards, or preventing accidents in the first place. I am a big fan of encouraging good sleep so folks are well rested on the job. 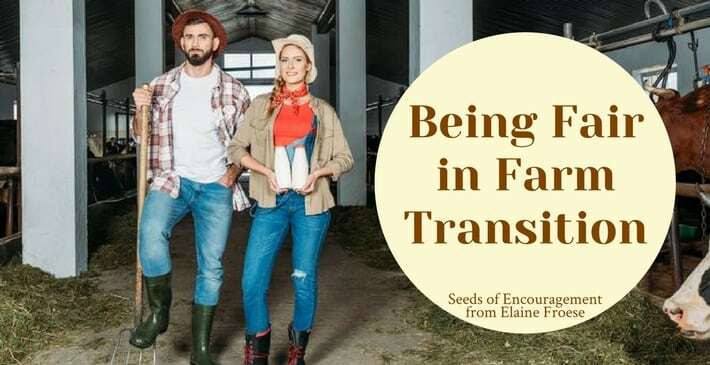 As a farm family coach, I see toxic farm cultures where folks yell and scream at each other rather than acting as mature adults and creating solutions to conflict. High stressed families in conflict use way too much emotional energy in a negative fashion which creates distracted management. I also believe that our bodies, mind, and spirits need good fuel. That means eating regular nourishing meals, affirming each other, and taking care of our mental health on a daily basis. The Do More Ag foundation is working to address ways to help farmers cope with depression, stress, and anxiety, and know that they are not alone. As a depression survivor, I encourage all farmers who have a genetic history of depression and anxiety to seek out treatment with their medical doctor. So, you’ve had your pep talk now. What are you going to do? Make the safety stories on your farm happy ones. Stay safe. Be safe. You can be a ‘pain in the neck’ sometimes, but we need that to realize how important / critical most of your messages can be (safety for sure) before it’s to late. Cheers Jack P.S. Met you at FarmTech a few years back. After losing my father-in-law to a combine accident last November, this article rings true. There needs to be better preparation on all ends, including financial, emotional, spiritual, ect… I am so thankful for Elaine and her wisdom. She has helped me understand the in–law factor and now my husband and I are better prepared as we are now taking over the farming operation with his sisters and mom.